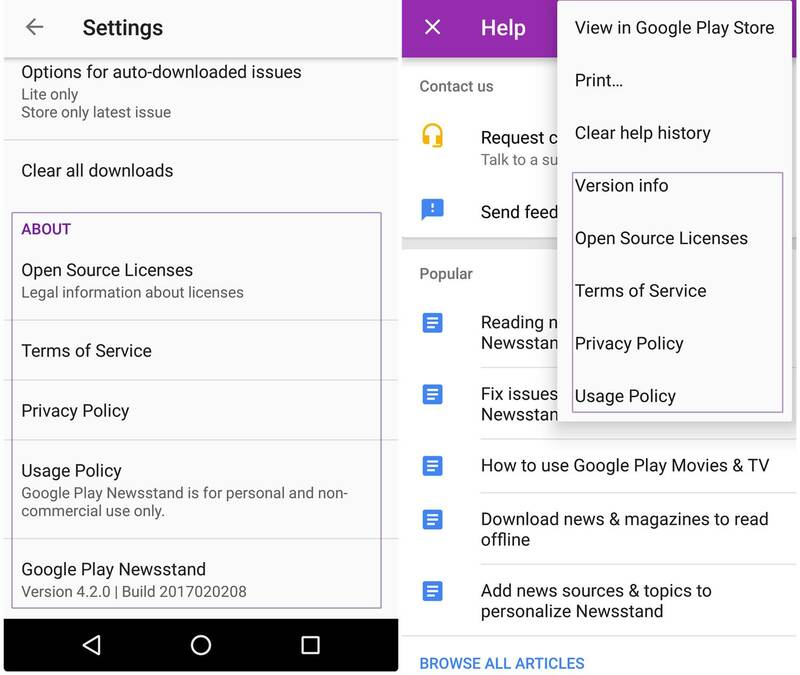 The informative and user-friendly newsreader app that comes pre-installed on every Android device, Google Play Newsstand, got a new update that changes the build number from 4.2.0 to 4.3.0. The same settings can now be viewed under the “Help & Feedback” section option menu, which you can open tapping the three vertical dots present at the top right corner. In the previous update, Google brought in support for app launcher shortcuts for devices running on Android Nougat. Google Play Newsstand provides personalized content for you, curated from different news sources and magazines spread across different domains selected by you. The app gives you multiple topics and sources to choose from like sports, technology, and entertainment among others. If you are done reading the personalized content, and want to explore news from other areas/topics, you can do that with the help of Explore tab.